Soft and feminine and oh so sweet. 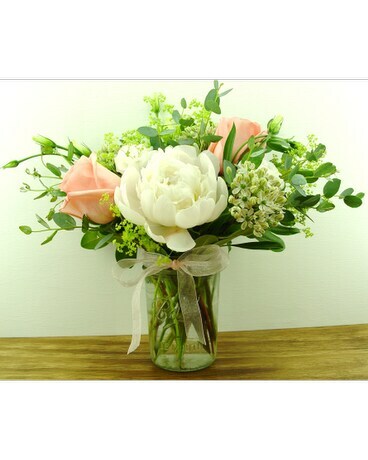 This charming mason jar holds roses lisianthus and a peony with a gardeny selection of foliage. If peonies are not available we will substitute a similar flower at our discretion.